Areas with high agricultural potential include arid zones, which make up 43% of the world’s total area. In these areas the scarce precipitation and the high salinity of the soils represent a limitation for the development of conventional agriculture. For this reason, it is essential to guide the efforts of research to generate agricultural technologies that allow us to optimize the productivity of those areas. 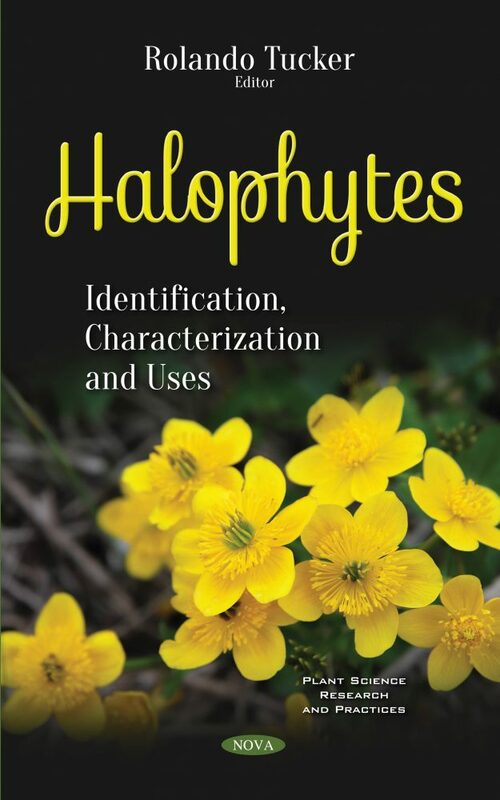 Halophytes have a wide diversity of plant forms and have been regarded as a rich source of potential new crops. Next, the nutritional profile of four promising species of chenopodiaceae family are collected from saline areas of Iran were evaluted by standard methods. The nutrient content of four halophyte plants indicate that they have high nutritive and dietary values, so these medicinal plants can be used as a major source of minerals and natural nutrients in food and fodder, based on their crude protein, fat, fiber, carbohydrate, vitamins and minerals in sufficient amount. The physiological mechanisms underlying the ability of halophytes to grow well under saline soils are explored. Additionally, several theories of growth stimulation mechanisms advocated in the past and presumed mechanisms of growth stimulation are discussed in the context of the latest reports. The authors go on to review the potential of halophytes for various uses in the Mediterranean area and assess how a knowledge of their cellular machinery can help to determine the best species and genotypes for their applied uses. Following this, the ancient and present-day uses of halophytes in Portugal are presented and discussed, focusing on their traditional uses and biological activities. The review concludes by suggesting future requirements and perspectives for further exploitation of these species within the context of sustainability and climate change. In southern parts of Iran for combating dust storm, people have started growing halophyte plants and trees such as Tamarix with drainage water. C. tubulosa which is collected from the central plateau of Iran has shown a high amount of K, Mg, S, Ca and P and antioxidant capacity as well as six important phenylethanoid glycoside substrates. Cistanche could be recommended to improve the economy of the area and employment, which can also encourage the local people to plant more trees and protect them.